I. AM. SO. SORRY!!! I know, I know, this is an event two months ago! The past two months happen to be the busiest months in my life due to finishing up the renovations of my work room. Majorly, we changed floors, so we had to evacuate everything in the room. Getting things out and putting them in decent temporary areas already takes a village to do. Putting them back takes yet another village! So I apologize to the brand, and to all you lovely readers in general, for this one (and a slew of other reviews) coming out so late. But whelp. Better late than never! So today I'd like to share what transpired from Watsons Naturals' launch. The products are surprisingly affordable given the global sourcing of the main ingredients, and the lengths they went to to not use all the ingredients I just listed! You see, all the ingredients I just listed are very commonly used on a lot of personal care products because they're stable, predictable, and can help companies achieve economies of scale when purchased in bulk. Not using them means having to go for rarer ingredient alternatives, which would surely cost more as they're not ordered as much. 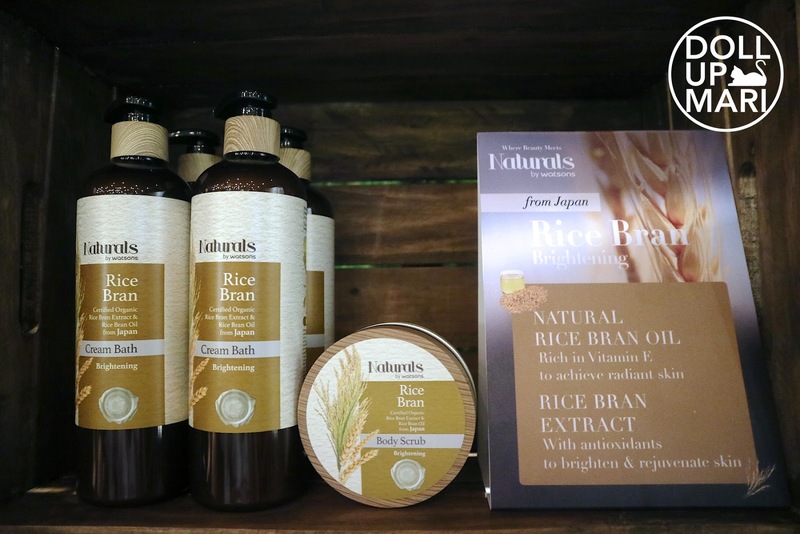 For this range, the items range from Php99 to Php259, which is so affordable! To make it fun, they had these ornaments with the variants placed on a tree. And then they made us "hunt" for each ornament. They also listed the benefits of each key ingredient on the cards. And now let's get down to the product lines! There are body washes, lotions, shampoos, conditioners, lip balms, scrubs, and hair tonics spread out across seven product lines. Each product line is made of natural extracts and oils of certified organic plants. Rich in Vitamin E to achieve radiant skin with antioxidants to brighten and rejuvenate skin. From Japan, they have Rice Bran. It's meant to brighten and rejuvenate skin. They have Olive based products from Italy. 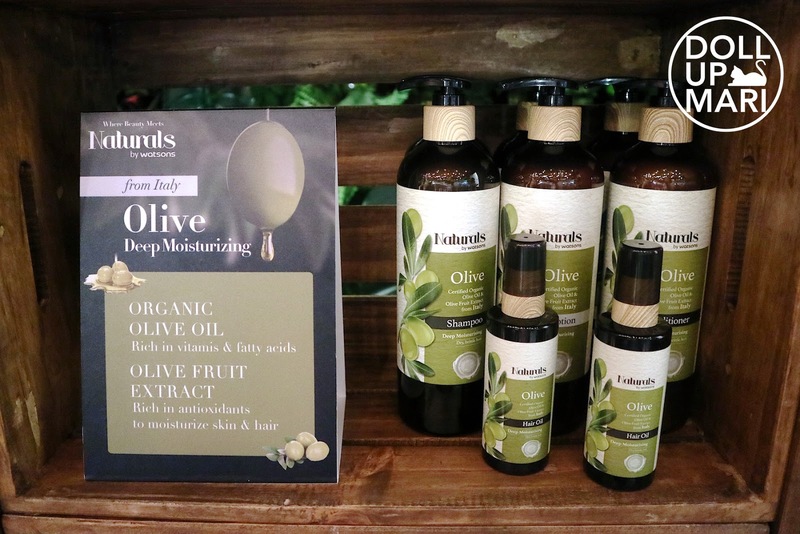 Olive is meant for deep moisturizing. 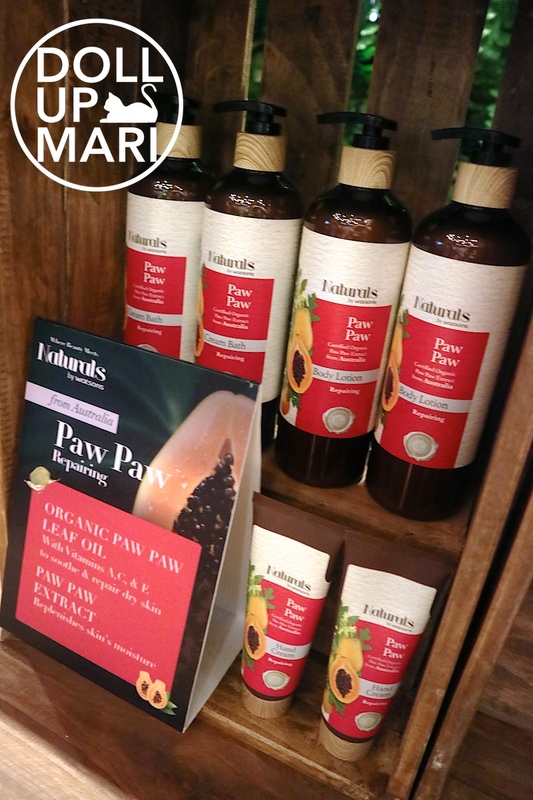 Rich in vitamins and fatty acids to protect hair from damage, and repair dry hair. 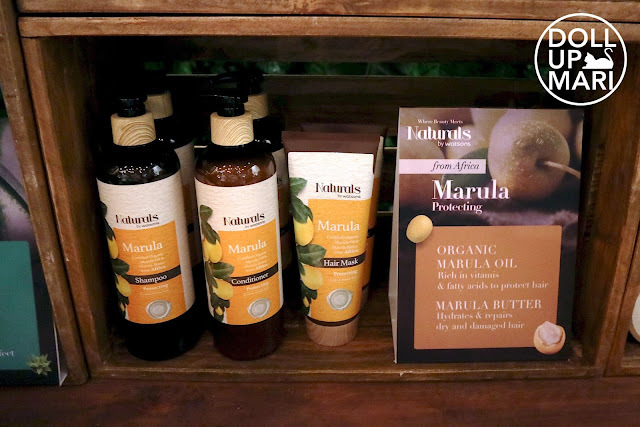 Their Marula extracts are from Africa. 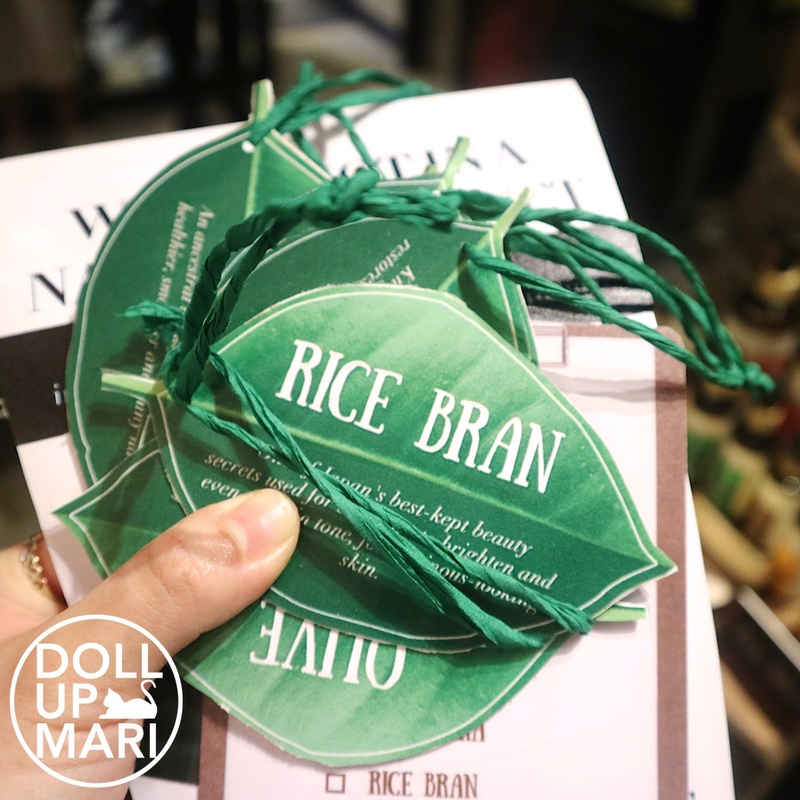 In this line, they have a Shampoo (Php179 for 490mL), Conditioner (Php189 for 490mL), Hair Mask, and Hair Oil. 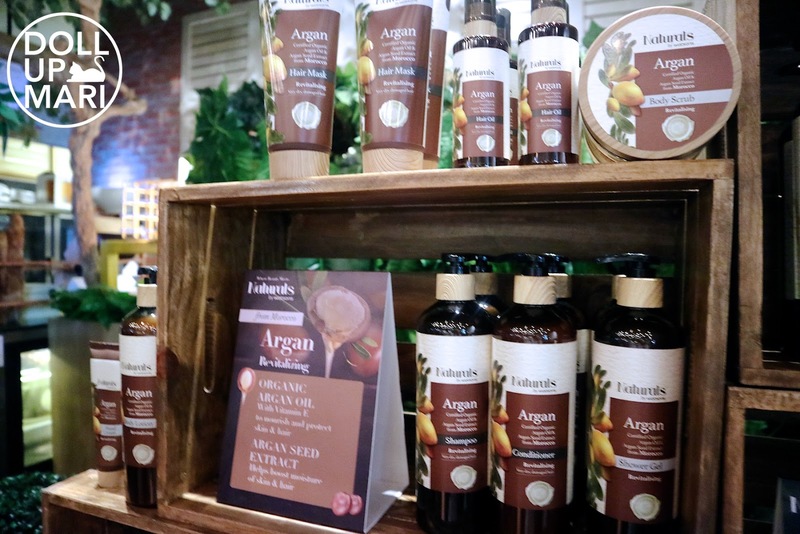 Their Argan line is sourced from Morocco. 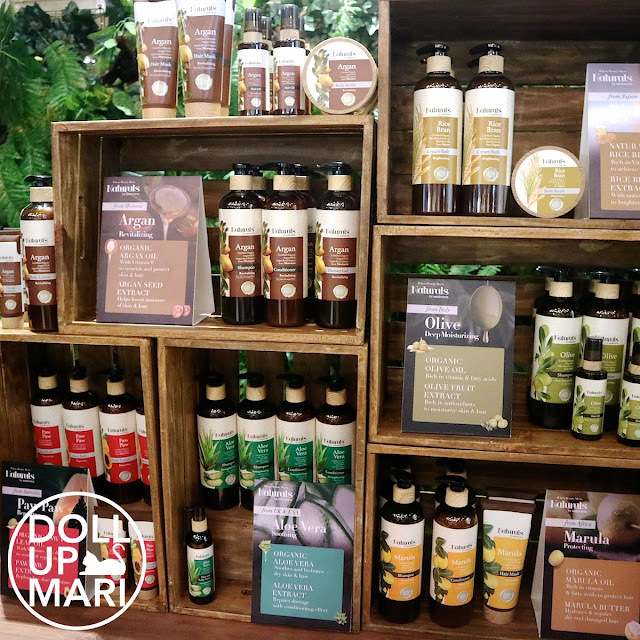 In this line, they have Shower Gel (Php199 for 490mL), Body Scrub (Php179 for 200g), Body Lotion (PHp189 for 490mL), Conditioner (Php239 for 490mL), Shampoo, Hair Oil, Hair Mask, and Hand Cream. Soothes and hydrates dry and damaged skin, as well as the scalp. 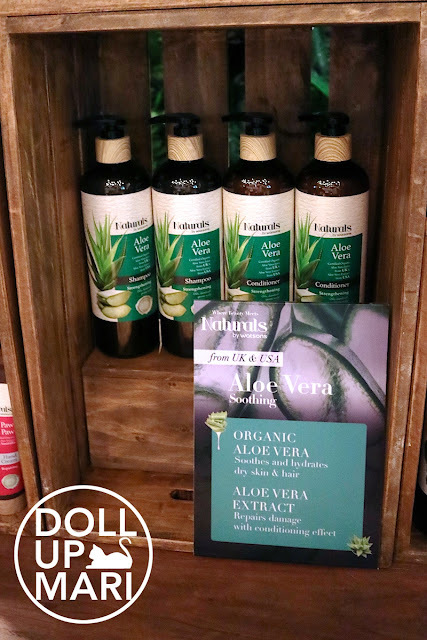 Their Aloe Vera is sourced from the UK and USA. In this line, they have Shampoo (Php249 for 490mL), Conditioner (Php259 for 490mL), Shower Gel (Php199 for 490mL), Hair and Scalp Tonic, and Soothing Gel. With Vitamins A, C and E to soothe and repair dry skin. This is sourced from Australia. In this line, they have a Cream Bath (Php199 for 490mL, Hand Cream (Php99 for 60mL), Body Lotion, and Ointment. Without a photo but of course worth mentioning is the Macadamia line! Their Macadamia line is sourced from Australia, too. Macadamia gets rid of dull, fine hair by rebalancing hair moisture for a revitalized hair and scalp. That's why they have Hair Mask, Hair Oil, Shampoo, and Conditioner in the range. And now, let's talk about the other things! Tessa Prieto Valdes graced the event. She is a Watsons Witch and Save Ambassador, and of course, for this event, she had her own floral flair going on. 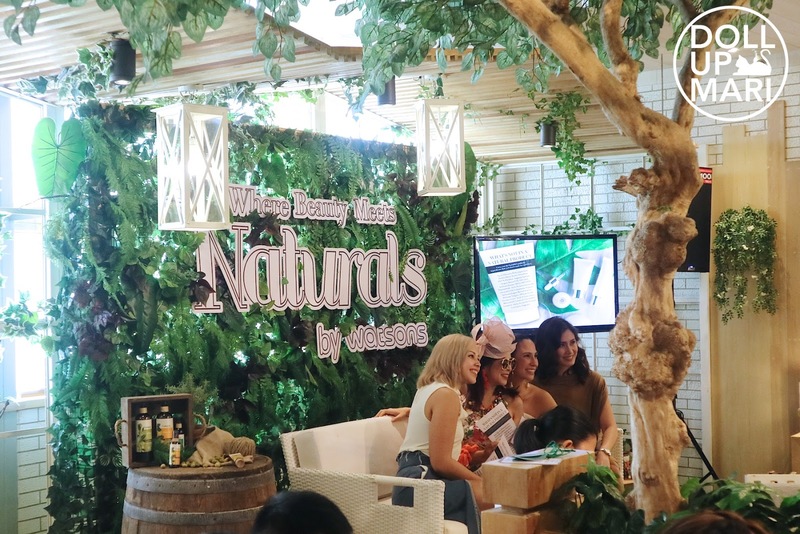 Patricia Prieto (Blogger), Tessa Prieto-Valdes (Ambassador), Stephanie Zubiri Crespi (Author), and Inez Bernardo (Host) all pose for a photo. The afternoon's talk was all about finding the balance of having effective products that sampled the best that the world has to offer, but was kind enough to sensitive skin and troubled skin. Because that usually is the issue. You often will find a lot of great products featuring all sorts of oils and extracts, but they may be false in origin, or impure, leading to the product not working. On the flipside, there are also products that have too much potentially irritating ingredients in them, that while they contain very potent plant extracts, not everybody can try them. 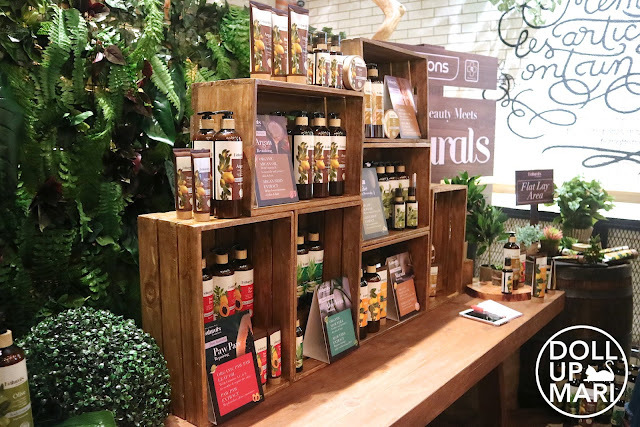 The whole range is about certified-organic extracts and oils, without the irritants, in affordable selections that everyone can get everywhere. And yaaaaaay!!! 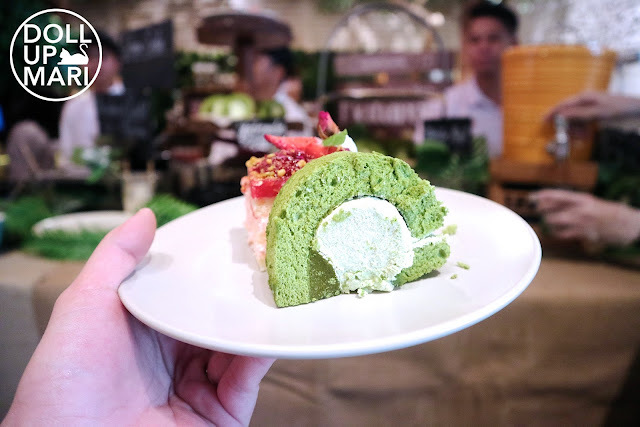 The other half of the reason of why I was so excited to come was because they held this event at Le Petit Souffle. LPS is one of my favorite restaurants in the world, and the only thing I hate about it is that the nearest branch is an hour away. LPS always serves everything perfectly if you ask me wahaha. 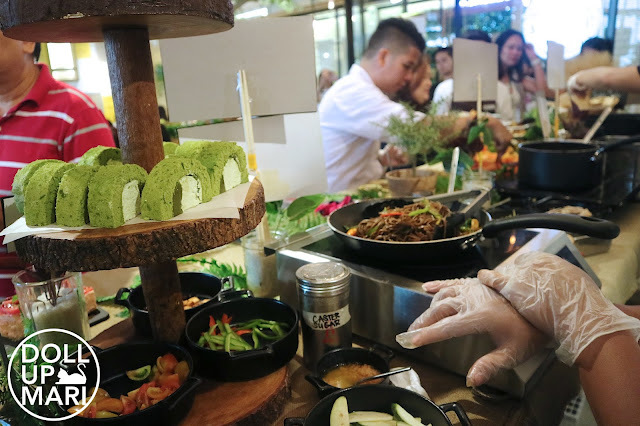 Guests were treated to a very hearty and healthy selection of foods that day. They had mushrooms, salads, and their super popular risottos. And yaaaaaay!!! After 5 years!!! I saw Kylie Padilla at the Katy Perry concert in 2012, and I had a photo with her. Who knew there'd be a 2017 repeat! Kylie was beaming. Gosh, she was just so radiant. As a Watsons Switch and Save Ambassador, that day, she really embodied what someone full of vitawas. And op korsssss, with mah kapatid!!! This was before Isha and I went to Korea. 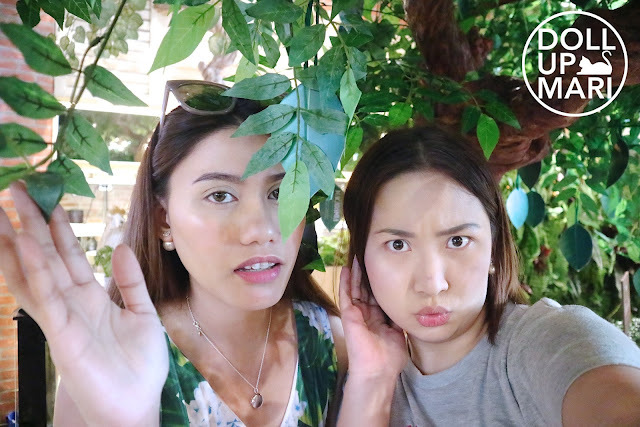 I asked her to do this dramatic tree photo with me wahahaha. They sent us home with suuuuuuuch. A. Graciousssss. Looooot. Baaaaaag. So I definitely will be talking snippets here and there about how I find the products. So watch out! For now, please forgive me for my inactivity as of late. Ok lng po Ms. Mari I understand po...take your time and willing aqng mghntay po...Ang gnda ng paroduct line ngyn ng Watson Naturals. I agree na 1 stop xa tlga ang Watson fro personal care to medicne, supplements lhat ng need ntin mga girls especially s beauty world and I'm glad n my gnito range cla ng mga naturals products and oh lala...very affordble xa. When I'm out for sure tlgng dadaan aq s watsons to see this Watsons naturals line...so curiuos lng at bka mapabili n din, btw thank you for shring about this! Ang pretty ni Kylie grbe mas lalong nging pretty nun nging mommy kaloka!